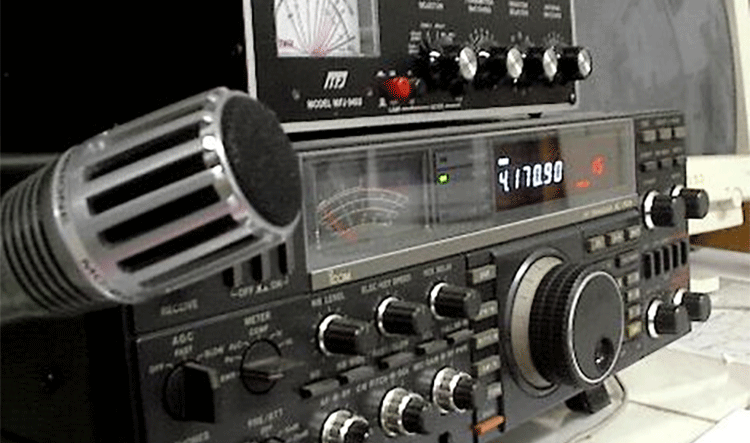 Every year, local HAM radio operators volunteer their time to the community and assist Brecksville Police by visiting area neighborhoods watching for suspicious activity. Be sure your parents always know where you are going to trick-or-treat. Only visit homes that have the porch light on. Walk, don’t run, and stay on sidewalks. Never eat unwrapped candy, opened candy or fruit given to you on Halloween. Turn your porch light on and keep your yard well-lit if you plan to pass out treats. 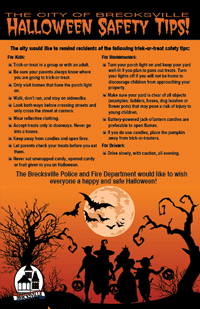 Turn your lights off if you will not be home to discourage children from approaching your property. Make sure your yard is clear of all objects (examples: ladders, hoses, dog leashes or flower pots) that may pose a risk of injury to young children. Battery-powered jack-o’lantern candles are preferable to open flames. If you do use candles, place the pumpkin away from trick-or-treaters. Drive slowly, with caution, all evening.